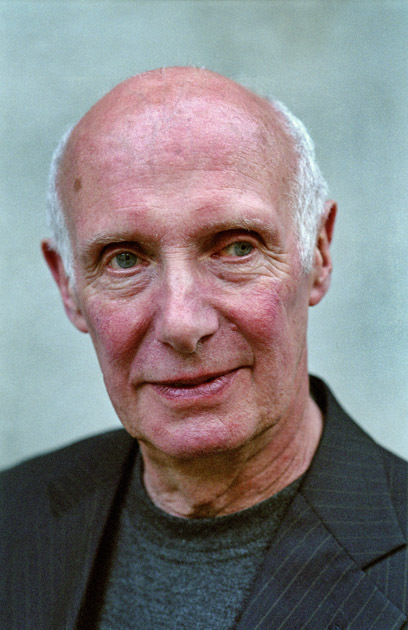 British-born Donald Gardner (London 1938) has lived in Holland since 1979 and earns his living as a translator. His debut as a performance poet was in the 1960s in New York where he lived for three years, taking part, for instance, in the legendary 1967 reading at the East Village Theater. 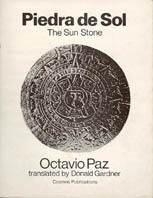 He is a translator of poetry, notably of work by Octavio Paz and Ernesto Cardenal. In the 1960s his work was published in many small magazines in New York and London. Back in London, he founded a group of street poets, Guerilla Poets in 1968. In the 1970s he was a street actor with the London group of the Living Theater, playing in London, Yorkshire and Belfast. Since moving to Holland, besides writing poetry, he has made a number of one-man performances of his poetry. One of these, "Oedipus on Ice" (1982) was remarkable in that it was an entirely new performance every time he presented it. In 1987 he presented his monologue, "Chicken with Madness", directed by Italian choreographer, Patrizia Filia. It was one of three poetry performances selected for Amsterdam's year as Cultural Capital of Europe (1988). Besides performing it 50 times in Holland, he has also played it in New York - at Dixon Place and the Poetry Project (Saint Marks Church). Since the year 2000 he has read his poems in various London venues (for instance, the Poetry Café of the Poetry Society, Chelsea Arts Club and the Brighton Fringe Festival). He has published a number of his poems in Ambit Magazine with one of them, ‘The Glittering Sea’, being featured on the Ambit website. Most recently (June 11, 2006) he launched his new book, The Glittering Sea, published by Hearing Eye Books. To order, contact Hearing Eye at www.hearingeye.org/zen or Donald Gardner at this website. (Price £3 or 5 Euros plus postage.). 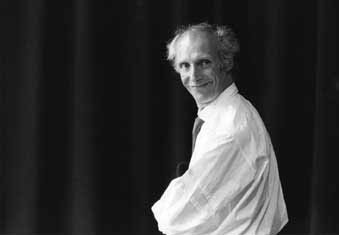 Donald Gardner’s book of translations of Dutch poet, Remco Campert is to be published by Arc Publications in their Visible Poets series in November 2006. Check this website (www.arcpublications.co.uk) out for publicity about this book. "Donald Gardner is one of the most exciting and surprising poets around. His work will turn your head (and mind) upside down - whether it's commenting on the after-affects of jet lag after one of his numerous trips to New York City or warning you jovially about the coming of the millennium. Buy this book and catch him around in one of his wild, wicked, wonderful performances." Bruce Weber, poet and poetry producer, author of "How the Poem Died". "Donald Gardner is an aristocratic madman, observing a princely life with tongue firmly cheeked. His poems have that slightly wicked turn that evoke school lessons and a proper upbringing while rolling in the absurdity of life's mayhem and rainshine. With a gleam in his twinkle his chickens fall in and out of rhyme - poultry as poetry - miming a legend while bestowing his feet with a poet's ode. Donald's writing and performance cover a unique and surreal vision of the world. He speaks of a life long-lived, a perpetual child in wonder at his own constant escapes from his brain. The sort of clever little naughty boy who questions everything and waits for an answer, bringing us into his madness." Edwin Torres, poet and performer. "In the style of the bardic punsters.... nah. In the manner of the lamentable vaudevillians? Uhuh. Perhaps -- with the gelatin skeleton of in-no-sense/capturing the pratfalls of intelligence! OOoooo. Stop stop stop. There's simply no describing Prof. Chicken Poet, Donald Gardner, as he single-handedly combats every image of la poesie by sheer pluck, dither, performative ether. This guy's the only ever-singing unsung genius I ever heard. And now it's a book too! Gimme two!" Bob Holman, poet and poetry activist.